The release of the NHI Bill for public comment is a significant milestone in the transformation of the South African health sector. Since 1994, there have been a number of health sector reforms that have sought to unite a fragmented system. These included merging more that 10 “homeland” Ministries of Health as well as 14 departments organised by race and province into one coordinated health system. This merger was not enough to address the inequities of the previous system, and it is important to note that despite significant expansion in health expenditure, these inequities remain. These inequities have persisted as evidenced by the continued under investment in rural health services. 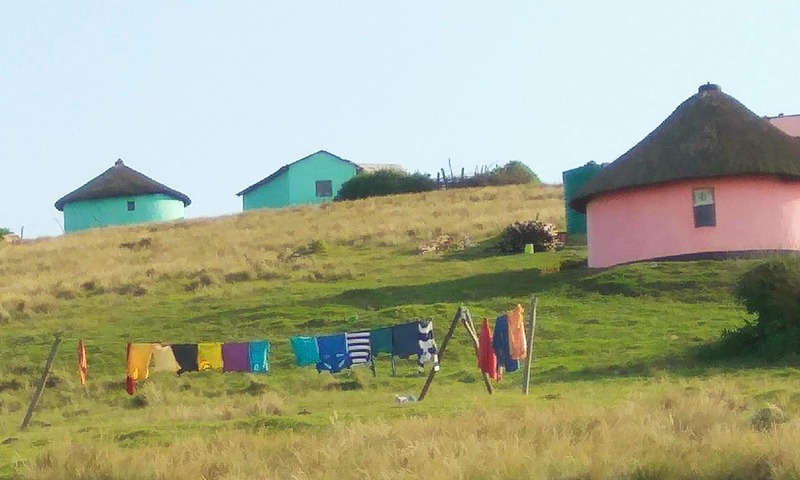 The OR Tambo District in the Eastern Cape, despite its rural nature, consistently features as one of the lowest PHC per capita spenders, suggesting that primary healthcare services are significantly underfunded. Framing the NHI as South Africa’s answer to the achievement of universal health access suggests that the intent of the Bill is to finally address these inequities. As we know, delivery of healthcare services is currently provided through a combination of public and private healthcare services. The latter is primarily funded through medical aid contributions of around 16% of the population; whereas public sector health care services are funded mostly by tax revenue. Our consolidated expenditure on public sector health delivery is around R220 billion, with the vast majority of this being spent on hospital-based services at the secondary, tertiary and quaternary levels and less than 40% on primary health care services. Despite servicing only 16% of the population, private sector expenditure is nearly 4 times as much per patient. While public perception suggests that the private health system delivers better health options, evidence from submissions to the Health Market Inquiry suggests that like the public sector, the vast majority of spending is on higher levels of care on procedures that do not necessarily contribute to improved health outcomes. Indeed, the HMI found that the inappropriate utilisation of hospital based services contributed significantly to increased health expenditure. The Bill seeks to address these problems of inefficiency and inequity with the introduction of the National Health Insurance Fund (NHIF), which will be the single and strategic purchaser of services from both public and private providers. The Bill suggests that the NHIF will be responsible for the purchase of comprehensive health care services and while we appreciate that the Bill is not the right mechanism to determine a package of care, which needs continuous reviewing as needs change, it would be useful if the Minister can give an indication of the extent of care envisaged. After all, while Section 39 of the bill provides that primary service providers will be funded on a risk-adjusted capitation basis, it also gives the Minister wide discretion to determine the range of services that will be offered. Risk-adjusted capitation allows for budgets to be determined by health need, but without clarity on the scope of services offered, there is a likelihood that funding will not address the health need as a package of services approved by the Minister, particularly for rural communities where access to services is constrained by far travel distances and huge out-of-pocket expenditure. Accordingly, it is imperative that greater clarity is provided on how health need will be determined under the NHI. The NHI White Paper was silent on how current health structures would operate under the NHI, and the Bill provides very little insight into how district offices will operate. With a number of district health functions being subsumed into the CUP, the role of district offices under the Bill is relegated to large oversight functions, including monitoring the performance of service providers. The relationship between the CUP and the District management office requires further investigation and clarification so as to avoid conflation and/or duplication of roles. In our current system, quality of health care services is largely determined by the capacity of provincial Departments of Health to implement national strategies. The capacity to implement is in turn influenced by the extent to which budgets are allocated equitably and efficiently. Recent media reports, as well as work done by the Rural Health Advocacy Project (RHAP) present an ominous assessment of provinces’ capacity to do this. In 2015 RHAP reported on the implementation of staffing moratoria and freezing of vacant posts largely as irrational austerity measures. In our submission to Parliament in response to the tabling of the National Budget, we illustrated how unchecked poor financial management practices have resulted in growing operational deficits totalling over R20 billion. In our comment on the collapse of the North West Department of Health we demonstrated how over a period of time, instances of corruption notwithstanding poor oversight and accountability by the provincial executive resulted in the collapse of health services. Similarly, the collapse of oncology services in KZN was also precipitated by a financial crisis with the province recording over expenditure in excess of R2 Billion. Despite this, it is surprising that under the Bill, provinces retain the stewardship of public sector health facilities. This we consider a missed opportunity. While we appreciate that the Bill is forward-looking, it is nonetheless concerning that less than 30% of facilities assessed by the Office for Health Standards Compliance met the norms and standards for public health facilities. This is particularly concerning given that accreditation as a service provider to the NHIF requires that facilities meet the gazetted norms and standards for health facilities. The introduction of National Health Insurance was always going to be a marathon rather than a sprint, and as such it is no surprise that it is unlikely that we will see any advancement in the achievement of UHC in the near term. While the release of the Bill is seen as the completion of phase 1, there is little evidence as to the extent to which the PHC reengineering (on which the phase was premised) delivered the required results. Phase 2 is dominated by the legislative environment required to make the NHI a reality, with over twelve pieces of legislation requiring repeal or amendment. Despite this welcome plan for health system reform, the crisis enveloping the health system is too urgent to wait for the slow transformation that the NHI plan proposes. As such, it is imperative that the Minister in identifying the required health system strengthening initiatives, uses this opportunity to chart a path for the reorganisation of the ailing public sector health system. Consolidate public sector funding under an interim national health insurance fund. The challenges in our public-sector facilities are well documented and no further diagnostic is required. What is missing is a clear prioritisation strategy that ensures that those most in need of care receive it. There is no health system without health workers. There are currently over 40 000 vacancies in public-sector health facilities. The protection and assessment of critical posts is important to ensure that the distribution of health workers both geographically and according to level of care, is necessary to determine which of these posts may be redundant, as well as to determine a strategy to support the equitable distribution of healthcare workers. RHAP recommends three criteria for prioritisation of HRH posts; these include: clinical impact, travel distances of users to alternative points to access service and levels of deprivation. This ensures that factors beyond facility utilisation rates, which are always higher in urban centres, are not the only considerations when prioritising placements. Community Health Workers can play an important role in bringing healthcare closer to rural communities. The operationalisation of the community health worker policies must be fast-tracked. The availability and use of quality health management information must be prioritised. The implementation of needs-based budgeting is reliant on good quality data. The introduction of electronic health records would provide an opportunity to understand the extent of current health care utilisation, but more importantly it will help in quantifying unmet need. The NHI Bill presents an opportunity for change and a chance to breathe fresh air into an ailing health system. What is however required is decisive and constructive leadership to take the NHI forward and make it the panacea of health care for all who live in South Africa. Without adequate leadership and a clear management strategy, the degeneration of the health system will continue to undermine progress towards the achievement of universal health access in South Africa to the detriment of large sections of the population who continue to suffer from unequal and insufficient health access. As RHAP, we are invested in the success of the NHI and will be working with our rural health partners in unpacking the extent to which this Bill addresses the inequality of access to quality healthcare for rural communities .